Looking for power, performance and style? Well look no further this 2016 Audi S3 Technik quattro (all wheel drive) vehicle gives you what you crave. A non-smoker car with a clean Carproof history report, with recent upgrades including the 25000 km service check and new rear brakes. 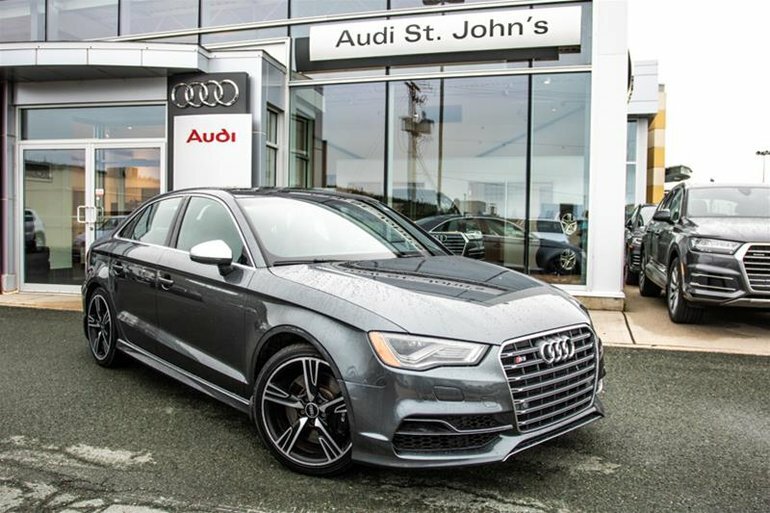 This S3 has been Audi certified with the 300 point inspection factory warranty remaining plus an extended 2 year or 80000km and a maintenance package to cover the next 3 service checks remain with the car. With only 20000kms and an interest rate starting at 0.9% this S3 will sure to delight. Interested by the 2016 Audi S3 2.0T Technik quattro 6sp S tronic ?